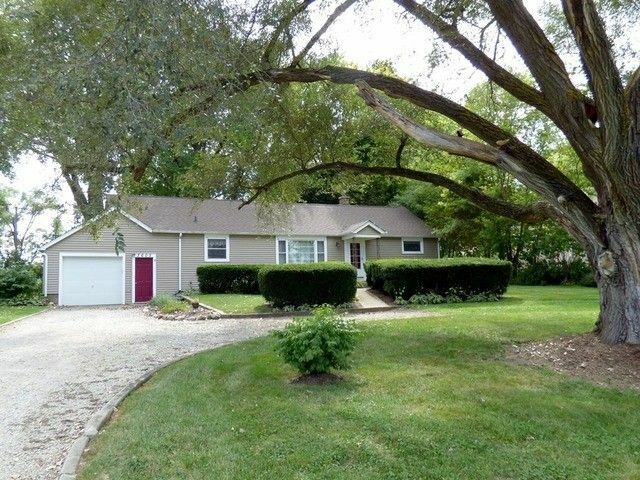 This comfortable and inviting 3 bedroom ranch home is situated on a large lot on just under a half acre has already had many updates making it an easy, move in ready home! Newer amenities include roofing, siding, electrical, plumbing, bathroom, furnace, water heater and flooring to just name some! Large country style eating area off the kitchen with loads of cabinetry for plenty of storage. Full unfinished basement and 1.5 car garage for even more storage too! Super sized backyard with plenty of trees! Convenient to shopping, hospital, schools and so much more! Directions: RT. 31 to Charles Miller Rd E to Bull Valley Rd. and W of Barreville Rd.